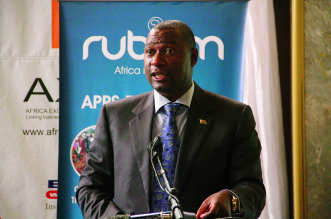 INFORMATION Communication and Technology minister Supa Mandiwanzira yesterday said the government was intensifying its efforts to bring internet connectivity to every household countrywide. The minister made the remarks while officially opening the Nyanga Community Information Centre in the resort town. Mandiwanzira said the government had so far opened 250 community information centres (CISs) across the country and the process was ongoing despite foreign currency shortages. “I feel humbled and l am happy that the bid to bring connectivity to every part of the country and every household progresses and we are witnessing yet another positive development in that regard,” he said. “Already, we have established more than 250 CISs in the country and we are not sleeping on our laurels we need more CISs and the rural folk are some of the people who are benefiting. Mandiwanzira said the foreign currency shortages have slowed progress such that the country was way behind its target. CICs involve the renovation and construction of facilities in post offices across the country to create information centres where the surrounding communities would access internet for various ICT services. These include the provision of computers and the related free training of the community members. All provinces in Zimbabwe have benefited and continue to benefit from this initiative. The minister added that the Universal Service Fund, a pool of financial contributions made by all telecoms operators in Zimbabwe managed by Postal and Telecommunications Regulatory Authority of Zimbabwe, was financing the initiative.